Remarks of-Joshua Lawrence Chamberlain watching the surrender at Appomatox - April 12 1865. One can clearly picture the moment in the mind as the proud but defeated Army of Northern Virginia filed past. 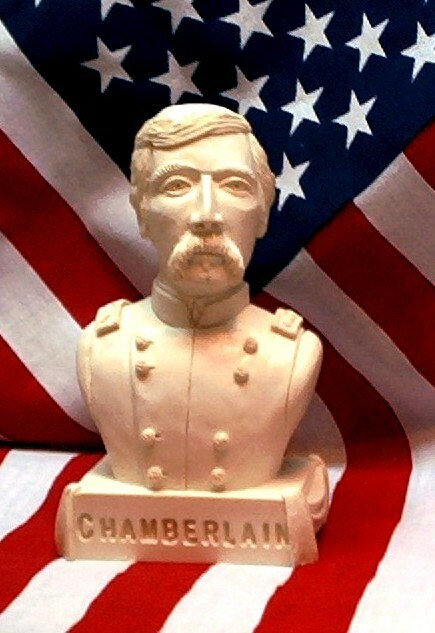 Joshua Lawrence Chamberlain was typically gracious to the vanquished Confederates, and was very highly thought of by the South after the War. neither toils and sufferings, nor the fact of death, nor disaster, nor hopelessness could bend from their resolve. On our part, not a sound of trumpet more, nor roll of drum; not a cheer, nor word nor whisper of vain-glorying, but an awed stillness rather, and breath-holding, as if it were the passing of the dead." 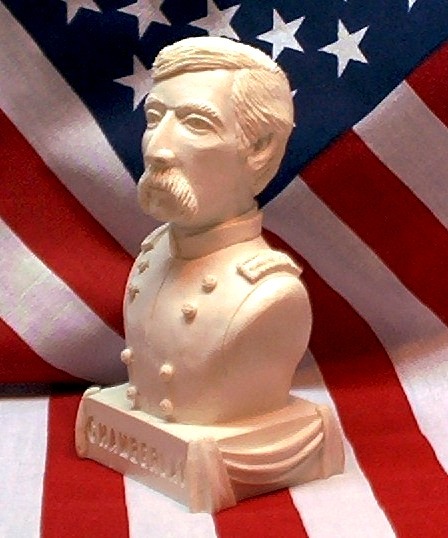 The Desktop series of Civil War busts was begun in 2001 as a means of making sculpture available to a wide range of the public. 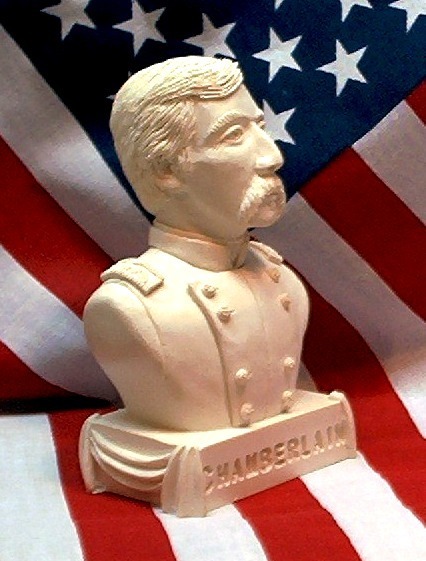 Each bust is sculpted in clay with painstaking attention to detail in likeness, uniform and insignia. The clay bust is then hardened and used to create a mold which is used in the casting of the final sculpture. The medium used is a type of ground White Marble that is fused with a bonding agent to give the finished piece the appearance of finely chiselled Marble. The designation "Desktop" is derived from the size of the bust. At 5 inches in height by 3 inches in width the sculpture is large enough to be pleasing to the eye yet not interfere with work taking place at the desk.